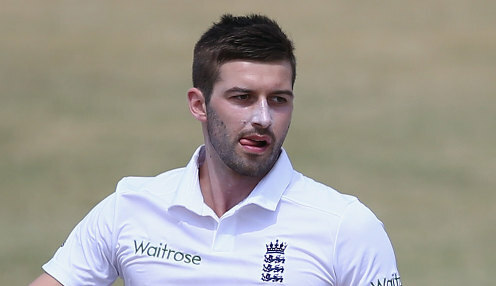 England fast bowler Mark Wood is sitting out Durham's first home match of the 2019 season following scans on his troublesome ankle. Wood was due to feature against Sussex in the Division Two County Championship fixture at Chester-le-Street after missing last week's defeat at Derbyshire. The ECB announced last month that the 29-year-old would feature in Derby and miss the visit, but later flipped his availability. Now, after the latest medical checks showed up some minor areas for concern, he is having an extended rest period. Following consultation with England coach Trevor Bayliss at the end of the winter tour of the West Indies, it was decided that the fast bowler would only return to action once he had undergone scans on a left ankle that has been subject to three sets of surgery. He has reported himself to be pain free and the subsequent management of his body is viewed as precautionary at the start of a summer in which he could have a huge part to play in England's bid for World Cup and Ashes glory. The limiting of his workload, which was also set to include a maximum of two 50-over appearances for Durham this month, suggests England value the 90-mile-per-hour pace Wood can muster. Wood made a stunning return to Test cricket in the Caribbean in February, claiming the man-of-the-match award for a five-wicket return in the first innings of a crushing England victory in St Lucia. Meanwhile, hosts England are 9/4 to win the World Cup this summer, with India 11/4 and the West Indies 18/1.